What is being politicized? Secularism or Religion? Just voted a poll on a website called twocircles.com- mainstream news of the marginalized. The poll asked whether Akhlaq was killed in Dadri because, with five options. The result did surprised me- 10% (87 votes) said because he ate Beef, around 1-2% said he was very rich or wasn’t patriot as well as had too many children, but mammoth 87% (796 votes) said he was killed because he was a Muslim. The subtleness of such polls are that one can add N- numbers of options to it, including all the above and none of the above, two or three of the above options, without evoking reasons and logic, but certainly giving religious semblance. Two options which came very close to be appropriate overlapped each other- he ate beef and he was Muslim. The kind of delirium caused by the social media and mainstream news channel after the incident, the vote share of ‘being Muslim’ over ‘he (allegedly) ate beef’ seems most appropriate answer, no matter how far from the truth. However, just being Muslim had been a reason the whole Muslim population of the village would have been swept away by unrestrained mob. What if his name had been Ram Singh (incidentally, the name of labourer brutally murdered in Amritsar, hanged up-side down) or Jaspreet Singh, would he been lynched in similar manner. The question is hard to answer, but appropriate to ask. Communalism as political assertiveness of a group has been a prominent feature of many political gestures in a country like India, where democracy runs with certain highly undemocratic institutions, like caste system. The legitimacy of democracy has often been challenged and even subverted by the tools of communalism. Since its resurgence and turning belligerent in last couple of decades it has slowly but strongly advocated for its proposals. The phenomenon now extends beyond politics and it can be seen embedded in the ineluctable spread of religious assertion made by young India even in starkly different states like Kerala, Gujarat, Karnataka and Uttar Pradesh. The cold blooded shooting dead of Dr MM Kalburgi (78) for his views on idol worship and Hindu rituals is no different from the horrific incidence of Dadri where a man was lynched by a mob for allegedly consuming beef against the dictates of religious sentiments of a particular community. Different groups or sub groups are committing similar crimes in the name of religion- some randomly becomes defender of the faith and religious sentiments, some has political affiliations, some vigorous patronage, and others off shoot of an ideology floating around for few decades. India was aghast after Dadri incident, but had no response except predictable lines of argument and rhetoric– Hindu nationalist organisation is behind the tragedy or the current BJP led central government is responsible. The counter arguments were- state government should be blamed, or the mob is innocent and the victims are to be blamed for evoking religious sentiments. One could easily guess the reactions on social media which followed a remarkably clear similar national pattern we have witnessed in the past- blaming one single political party and its parent organisation. A glimpse of it can be observed in the reactions by the villagers of Dadri too. Few of the television interviews showed the locals regretting the incidence; however the paramount sense of guilt was missing. And this all significant missing of guilt is largely due the over- enveloping idea of religious sentiments being sacrosanct over the ethical thinking of human life as sacrosanct. Even the sense of guilt of the locals turned furious, when the Indian media ceaselessly telecasted the horrific event in a sensational way. Groups, including minor BJP leaders which came in defence of the current central government and its ideological organisation RSS blamed everything on the victims and rumours, without a sense of realisation that nothing justifies lynching of a human life. However, later senior leaders from BJP condemned the attack and called it unfortunate. But it was too late. 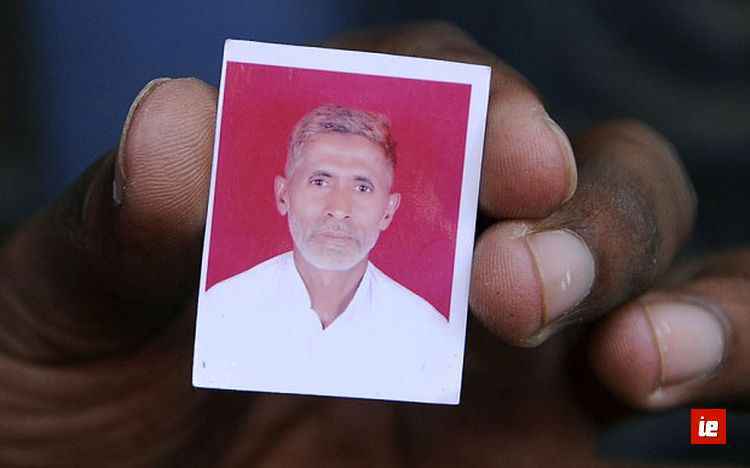 As hours after the incident, a large section of media and intellectual class lambasted central government and its policy, blamed it for the lynching of the man in Dadri, in spite of the fact that no conclusive inquiry had begun or no evidence were brought out by police or state government. Similar were reactions from the political class based on their affiliations. The obvious question went for a toss- is it so clear that every event contains a very definite shape and motives of a particular group or does arguments need to be knitted in proportion to check the pattern correctly? We must recognise the decline of binary opposition between secularism and religious assertion in India politics, and it cuts across political class. Religion has been a visible and powerful force in the domestic politics and certain political parties have extracted benefits from evoking religious sentiments of not only the dominant religion but also other minority groups. Almost all the states in India have faced one or other form of communal violence on some very opprobrious pretext to defend religious sentiments. The fault lines have been widened by the political players, who claim to represent all. The problem is that criticizing communal forces is relatively easy and uncomplicated; however being selective in expression and in condition of facing similar charges- tendency to obfuscate the understanding of the term secularism, which ought to be of universal proposition, gets lost. The secular entities who were supposed to undercut the ideological bases upon which communal politics rests have infact aided, willingly or unwillingly, mistrust between Hindus and Muslims. Political parties who have open communal agenda may pose imminent threat, but the parties who have created their own versions of secularism and communalism, shuffling and shifting its version according to its political objectives is a sheer danger and menace which inevitably creates space for communalism. A handful of cynical communal forces can’t take over the secular agenda if not we had muddled our collective secular psyches. No assertion should be allowed to infringe upon the right to freedom and certainly not on right to life. But recent killings go against the norms of both secular and religious fabrics of India. Is the secular model of India failing or Religion is fast falling prey to radical expressions? The question can never be answered as long as we keep politicizing secularism. It must be understood that both secular and communal forces do not exist in isolation but are in continual interaction with its surrounding world, and this must be realized while analysing or finding solution. A danger of an even greater divide than already exists, looms large until we understand that simply handling a bunch of communal forces will not bring the change nor will damning one political party and ideology with faintest of evidence, instead amending and strengthening the secular school of thought that reaches out to masses, rather than being preserved and manipulated by handful of elites. Finally, by no mean politicization of religion is going to help our nation, but politicization of secularism is certainly going to corrode the very fabrics of our democratic system. Indian Exponent: What is being politicized? Secularism or Religion?